Sukanya Samriddhi scheme was launched in 2015. Till November 2017, more than 1.26 crore accounts were opened across the country securing an amount of Rs 19,183 crore. 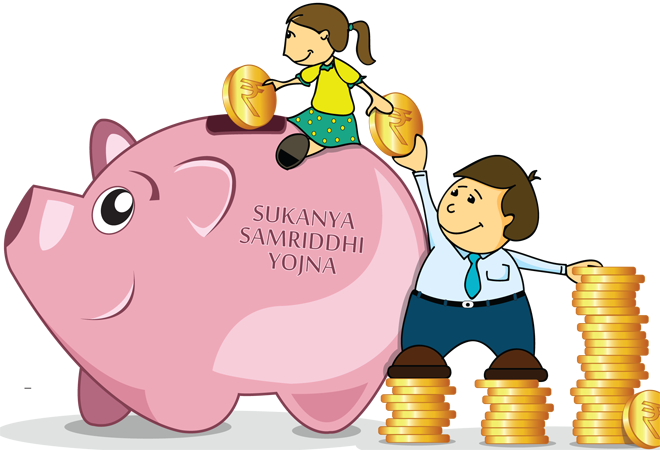 The government has slashed the minimum annual deposit requirement for accounts under the Sukanya Samriddhi Yojana to Rs 250 from Rs 1,000 - a move that will enable more number of people to take advantage of the girl child savings scheme. The government amended the Sukanya Samriddhi Account Rules - 2016 to state that the minimum initial deposit to open the account would be Rs 250. Under the scheme, a parent or legal guardian can open an account in the name of the girl child until she attains the age of ten years. The account can be opened in any post office branch and designated public sector banks. After the recent change, the minimum deposit that needs to be made every year is Rs 250 and the maximum amount that can be deposited in a year is Rs 1.5 lakh. There is no limit on the number of deposits either in a month or in a financial year. The account opened under the scheme will be valid for 21 years from the date of opening, after which it will mature and the money will be paid to the girl child in whose name the account is opened. If the account is not closed after maturity, the balance amount will continue to earn interest as specified for the scheme from time to time. The account will also automatically close if the girl child gets married before the completion of the tenure of 21 years. Deposits can be made up to 14 years from the date of opening of the account. After this period the account will only earn interest as per applicable rates. Premature withdrawal - withdrawing money before the completion of the maturity period of 21 years - can only be made by the girl child in whose name the account has been opened after she attains the age of 18 years. This withdrawal will also be limited to 50 per cent of the balance standing at the end of the preceding financial year, and will only be allowed for the purpose of higher education or if the girl intends to get married. In order to make a withdrawal, the account should have a deposit of at least 14 years or more. A parent can open only one account per girl child, and a maximum of two such bank accounts in the name of two girl children. In case of twin girls as second birth, or if the first birth itself results in the birth of three girl children, three bank accounts can be opened in the name of three girl children. The banks that have been authorised to open accounts under the scheme are: State Bank of India, Vijaya Bank, United Bank of India, Union Bank of India, UCO Bank, Syndicate Bank, Punjab National Bank, Punjab & Sind Bank, Oriental Bank of Commerce, Indian Overseas Bank, Indian Bank, IDBI Bank, ICICI Bank, Dena Bank, Corporation Bank, Central Bank of India, Canara Bank, Bank of Maharashtra, Bank of India, Bank of Baroda, Axis Bank, Andhra Bank and Allahabad Bank.